The lightweight race is heading back towards 0. 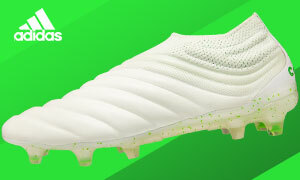 With everyone believing that adidas had finally put the nail in the coffin by hitting 99 grams, Puma decided that they weren’t satisfied with merely being “close” with the Puma evoSPEED SL. The evoSPEED He looks to take the crown away from the three stripes and also craft a fantastic looking limited edition release. The first thing that is incredibly striking with these boots is the box. As if to convey how light the boots are, two pieces attached to the lid of the box hold the boots off the bottom, which gives the impression that they are floating. The clear box lets you look right inside and showcases the see-through nature of the boots that are found within. 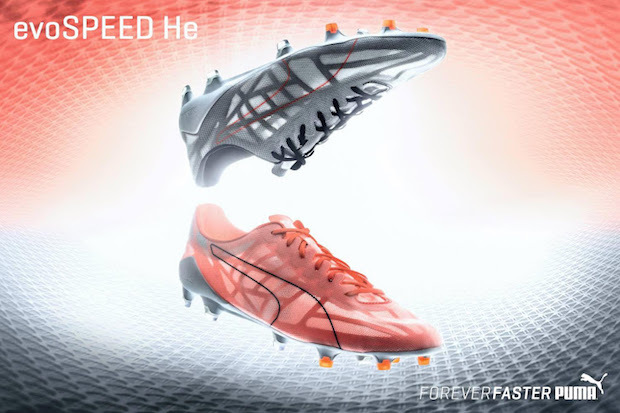 In true Puma Tricks fashion, one boot has black outline and trim while the other boot has red. 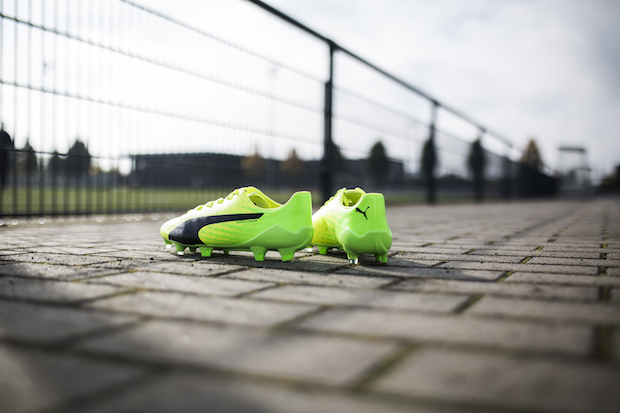 It might have been a choice to have these semi-match the current evoSPEED boots on the market, but it’s a great look. The upper of the boot looks like an extremely thin mesh, almost identical to what we’ve seen on the adidas 99 gram boot. The thin nature of the mesh makes the white insole cause the boot to look like it almost glows…a very cool look for this launch from the big cat. The cynical part of us has us wondering about this launch’s intentions. At only 200 pairs released worldwide, it only feels like Puma released this boot to claim the lightweight crown…not to serve any real purpose. The boot becomes even more rare with multiple sizes being released, and we wouldn’t be surprised if they were all claimed before we even finished typing this sentence. 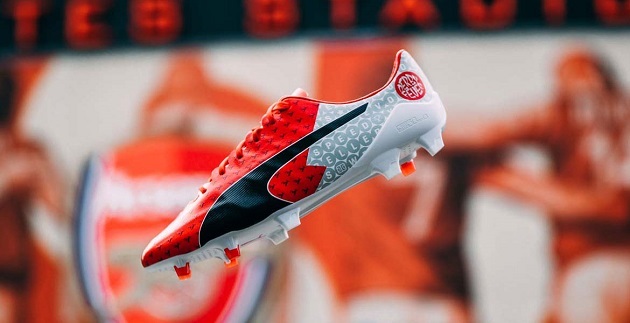 The odd thing for Puma is that they currently feel like, despite a wealth of releases and quality options on the market, floating below the radar. Whether it is Puma’s choice to feel like they are avoiding the fray or whether it is people continuing to struggle to peel themselves away from Nike/Adidas, we’re anxious to see what the future holds for Puma. More for us? We’re good with that!